The CipherLab 1662 Pocket Bluetooth is built to meet the needs in health care, field sales and field service with strong mobility requirement. Optional Bluetooth connectivity allows instant data acquisition to a Bluetooth compatible PDA, laptop, PC or any other Bluetooth -enabled devices.The Bluetooth communication and pocket-sized form factor with extreme lightweight unleash workers and allow them to go where the work is and get more done, in more places. 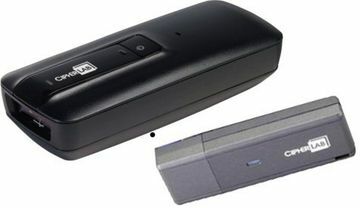 **Works well with iPad/iPhone/iPod Touch/Android*** CipherLab 1662 Laser Bluetooth Scanner Only. It's compact size makes it ideal for use with iPad/iPhone/iPod Touch and Android devices.